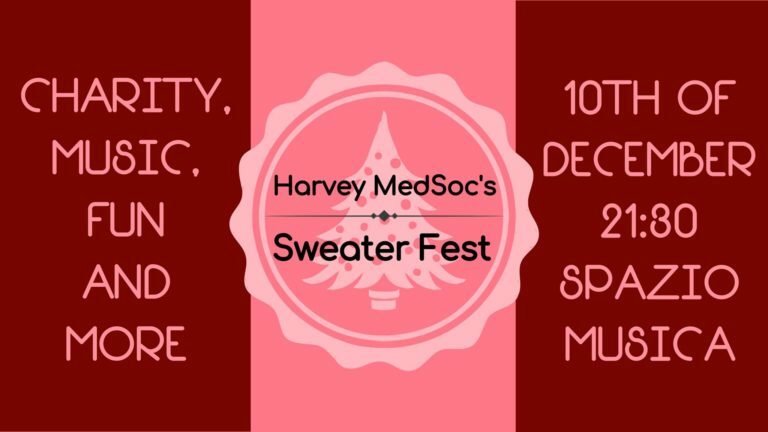 Winter is coming (quite literally) and Harvey MedSoc is happy to bring on some warm evenings and deeds. Our traditional Sweater Fest is not only a great evening with music and dancing, but also a charity event; the entrance fee is 1 euro and any piece of warm clothing – a coat, a scarf, gloves, sweaters or anything else you don’t wear anymore and could be of use by somebody else. Everything will later be collected by the charity organisation Caritas and distributed to those in need in Pavia. Don’t forget to click “going” on our Facebook event and join us for this incredible opportunity to spread the good, have fun, listen to great music and spend time together! Stay tuned as we announce our line-up in the coming days!